Modern tufted design bed. 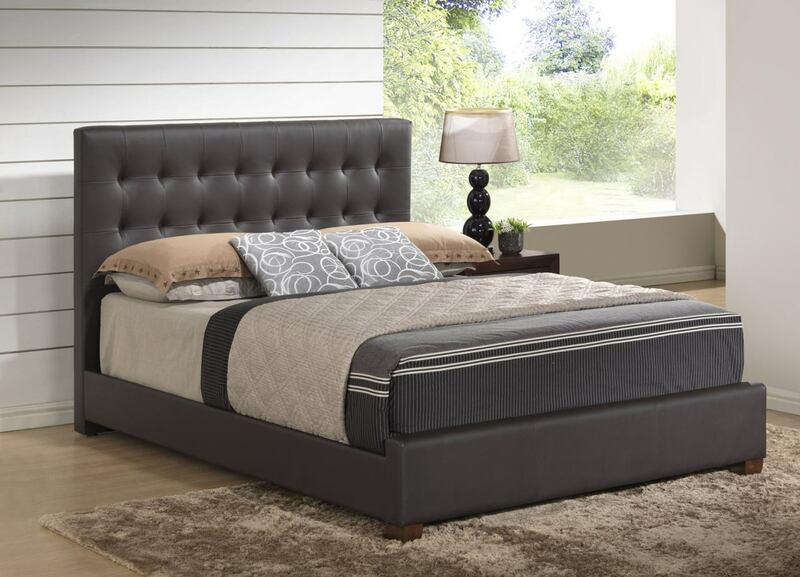 Update your bedroom decor with this contemporary upholstered Bed. This bed features a soft foam fill, tufted detailing, a durable wood construction and dark brown faux leather upholstery.